Quick and easy to put together with a few ingredients at the last minute to serve company for for a dessert emergency. . .
(or pound cake) into layers. . .
We are fans of a mixture of a jar of lemon curd and 8 oz. of light cream cheese, but you can layer pudding (vanilla, lemon, banana), whipped cream, or a combination. . .
Add berries of choice or fruit in season. . . Perfect for Celebrating the Red, White and Blueberry! visit my previous post here. A winner will be chosen June 25th! Congratulations to Linda @ More Fun Less Laundry. 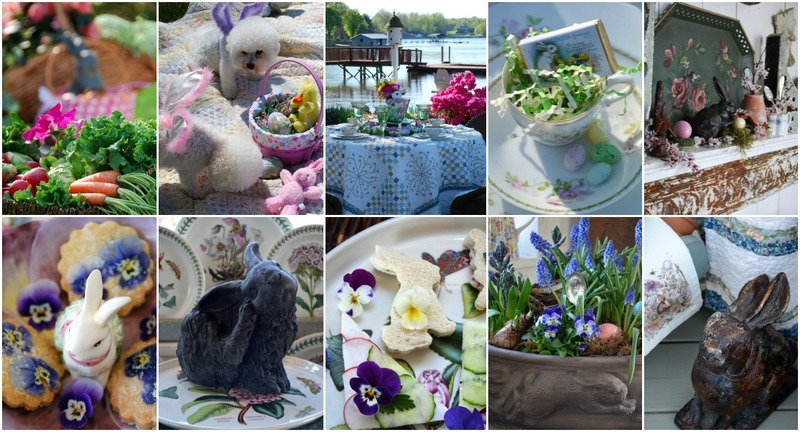 ← Banner Yet Wave Tablescape and a Giveaway! A mixture of lemon curd and cream cheese sounds heavenly! And your photo of the cake makes it looks so enticing. I love to use cheese cake flavored pudding in recipes like this. Reminds me of a fairy garden! Still one of my favorites. We love lemon curd whipped with whipping cream. I will have to try it mixed up with cream cheese – what’s not to love right? It is so refreshing to have lemon and fruit together and what a light lovely cake. What a pretty and perfect cake for Flag Day and The Fourth of July! I love lemon curd mixed with cream cheese or whipped cream. 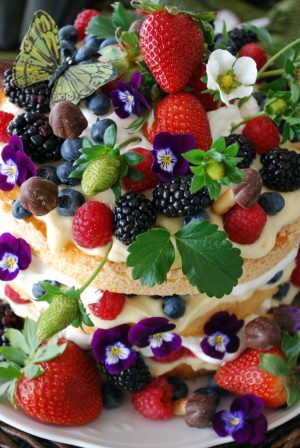 Hmm, the thought has my mouth watering, Well, since I have both strawberries and blueberries in the kitchen I had better go pickup an angel food cake and get busy. Such a pretty and festive cake. Thanks, Mary! Another absolutely gorgeous cake, Mary. And you’re pictures are so vivid, I feel like I can reach right out and cut myself a big ol’ slice. Can’t wait to try this one myself. Thanks for posting. This looks so good Mary. I like your idea of light cream cheese and lemon curd. Yum! Perfect for flag day and 4th of July. You take the simplest things and make them gorgeous! Love it. And it looks so yummy!!! You just inspire me Mary!!! Yours is one of my very favorite blogs!!! I can do this!!! I even have a cake stand like that to put it on. You are rubbing off! Just perfect for this household is a dozen different ways. I’ve pinned this one. Hi darling, this is not only gorgeous looking, it’s also yummy looking. Love the basket and the flags… absolutely stunning photos. Hi darling, this is not only gorgeous looking, it’s also yummy looking. Love the basket and the flags… absolutely stunning photos. I’m hoping you’re getting my comments I can’t tell from this side of the world. My goodnes, that looks beautiful! So simple to make but very impressive. It’s hard to believe that July 4th will be hear before we know it! Your cake looks delicious. I love the idea of mixing the lemon curd and cream cheese; that sounds especially tasty. What a beautiful cake. Thanks for sharing with us! Oh, that looks yummy! I am always looking for new ways to dress up angel food cake! No cream cheese lovers in our house, so I think I would blend pudding mix with Cool Whip! Thanks for sharing! I found you through Sweets for a Saturday! I would like to invite you to share this post (and your other posts :-) ) on a new photo based recipe sharing site that launched in May. The idea is simple: all recipe photographs are published within minutes of submission. And, of course, the images link back to the author’s site. Wow, I am definitely trying this easy dessert for the 4th. Thanks for sharing. What a perfect holiday dessert!! Mary, everything you touch turns to a work of art! Wow, this is YUMMY AND EASY!! 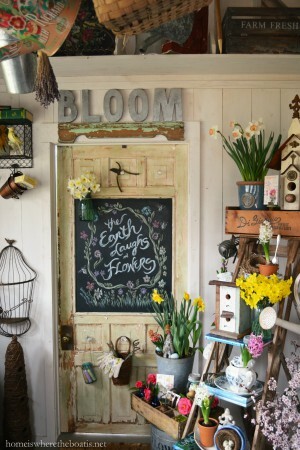 Cannot wait to make it soon…it also looks so fresh and summery! Thanks for your visit sweet friend. Mary, Oh, Gosh! I’m making this. It’s not only delicious sounding, it’s delicious looking…but then all your dishes are. Just wondering…do you use any particular brand of lemon curd, or are they all pretty much the same? Babs~ I like Trader Joe’s brand of lemon curd. If I can’t get by there to pick it up, I’ve used Dickinson’s! This looks so delicious!! 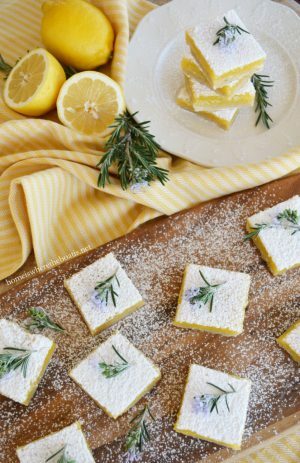 I have been on a lemon kick lately… Thank you for the wonderful (and easy) idea! This looks gorgeous – and I just happen to have a lemon pound cake (Ina Garten’s recipe) in the freezer. Will go so well with the lemon curd! This dessert looks so good, we’re serving it for guests tomorrow night! I love your blog, too! Have a happy 4th! These different items you made look amazing….I would love the recipe for the berry cake….please!!! Love visiting your site. Its everything homey! The photos are beautiful and make me feel like I am on vacation. I wish you were my neighbor so we could cook together! Just discovered sailing and if I ever get my boat your photos will inspire me. Amazing recipe! I made it last week and posted on my blog. Thank you for sharing such a delicious and beautiful cake. Such a beautiful cake! Shared on Facebook! You have a very special Talent, I would love to come to a party at your place, You could give Martha Stewart a run for her money. That lemon /cream cheese filling sounds delicious, and I love how easy this will be to make. It looks absolutely gorgeous too Thank you! Stunning and easy to put together. Love your website. I am making this gorgeous cake for a group of ladies next Saturday. Where did you find the leaves to decorate the cake with-they look like strawberry leaves in the photo. I am making the lemon curd in the microwave because I have time and it’s less expensive that way and so easy. I’m glad to share the recipe if you would like it. MERCY….this looks amazing and PERFECT for a Father’s Day dessert. Thanks for bringing this recipe back….. This is so lovely. Love it. Where in the grocery store would one find lemon curd? Dairy section?What type of container does it come in? Do you use it right out of the container or have to mix it up with something? Not familiar with this product, that is why all the questions but with cream cheese, it sounds delicious. You have long been my go-to place for recipes and decor, so of course this is where I came to plan my Resurrection Day celebration meal! This cake/your fairy cake is PERRRRRFECT! I am SO EXCITED to make it for everyone! Gorgeous! Sad that I have no access to the strawberry plants themselves like on your fairy cake, but it will still be gorgeous. I’m excited to make it but wondering if one jar of Dickinson’s Lemon Curd and one 8 oz. pkg. of cream cheese is enough to do all three layers? And I’m wondering…you so often use organic pansys and violas in recipes…I have tons of wild violets in the yard right now and never use any chemicals of any kind on it. Are they ok to use? Hope you respond…and quickly! :) Hugs again! Thanks so much for the answer! I made the cake and it was a HUGE hit at our Resurrection Day celebration meal at worship today! I made the fairy version of the cake and in the end DID find the strawberry plants to finish it off! I was pleased to find it tastes just as good as it looks. One batch of the lemon curd/cheese mixture and part of one small tub of whipped cream did the trick. It is challenging to transport, but I’m so glad I assembled it at home. With DH driving I was able to hold it on a towel in my lap and all went great! 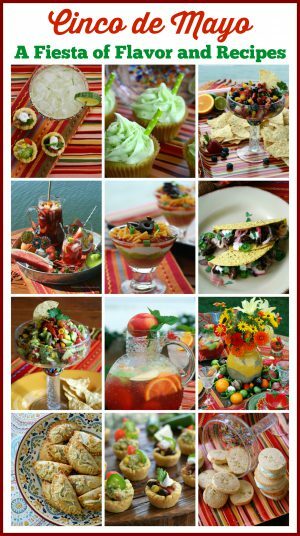 Thank you SO MUCH for sharing this and all the wonderful recipes you share! God bless you and hugs from this Southern Sister-in-Christ!!! Oh, I posted it on my Instagram if you are curious. https://instagram.com/lynettesphotoart/ And when I can get to it I’ll put it on my blog, linking back to you OF COURSE! Oh, and pics of the Peep nests I made from your recipe are on my instagram too! I have ended up making two Fairy Cakes two weekends in a row! First for Resurrection Day, then this last weekend, unexpectedly, my daughters came to visit. I was so excited to get to share it with them. We picked the flowers and make the cake together. It’s now another sweet shared moment with those I love. Thank you again for sharing this! Pingback: Red, White and Blue Food & Crafts - Home. Made. Interest. I make this often…it’s always so delicious, every one loves it and it’s quick and easy and very impressive. Easy and gorgeos! Pinned! Love this!! Lovely, lovely! And such an easy thing to create! Came back to thank you again for a fabulous dessert. Beautiful, decadent and so simple to make. This has become an all time favorite, especially at last minute notice of guests. I just love lemon curd, and mixed with lite cream cheese really makes this different and refreshing. Thank you for your sweet comments and visits Kathy. ♥ Lemon curd mixed with cream cheese is crazy good! Such a beautiful cake from simple ingredients. Thanks for sharing such a great idea!